To get more detailed information on installation questions check out our installation page. Still cant find the answer you are looking for? 1. How much do the panels weigh? 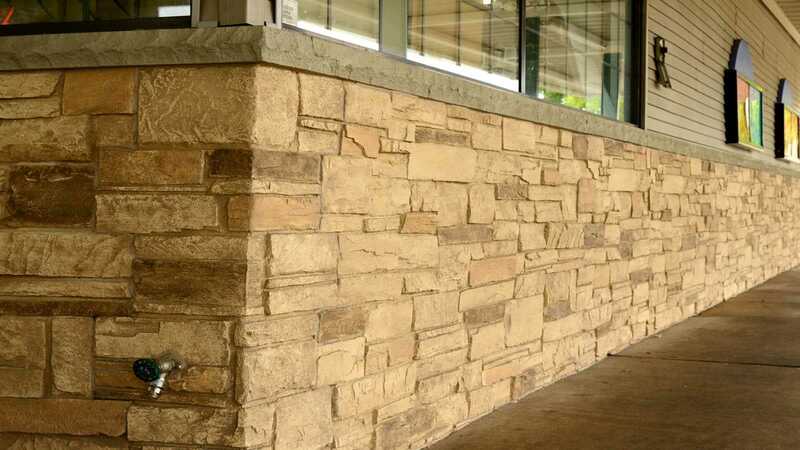 Our Faux stone, brick and wood panels vary in weight depending on the panel, check product specifications for accurate information. But in general are close to 1 lb/sq ft.
2.Are the panels easy to install? 3. How do I cut the panels? Cutting the panels is easy! You can use any wood cutting tool. 1. Can I use your Panels around my Fireplace/Stove? Although our panels are incredibly realistic, keep in mind that they are not a stone product, they are manufactured utilizing high density polyurethane. With that in mind, all of our Polyurethane Panels can be used around a Fireplace opening/insert, and/or Stove, provided you follow the Fireplace Insert/Stove Manufacturer's specifications for required clearances. When using our panels around an open hearth where there will be a "live flame" (i.e., wood, coal, etc. ), it is recommended that you use some type of a stone or non flammable border (minimum 6") before starting our Panels, and then use Class A fire rated panels for the area immediately surrounding the opening. Please note that anytime our panels are used and there is any chance of a live flame or embers coming in contact with the panel, that we recommend using a Class A fire rating. Also, please note that a Class A fire rating makes the panels more fire and heat retardant, it does not make them fire proof. Other than this, our standard panels can be utilized with the same clearances observed as the Fireplace/Stove manufacturer recommends for any standard paneling material or sheetrock. You also must adhere to any, and all, building and/or fire codes concerning clearances that are applicable in your area. 2. Can the Urestone Panels be used outside? A: Yes, our panels are specially formulated to resist moisture, sun fading, insects and pests. 3. Can I attach your panels to concrete? A: Yes, the panels are glued to cement with Construction adhesive.You can also use "Tap Con" masonry screws in each corner of the panel. The Caulking we provide will hide the screw heads. This is a very common application.